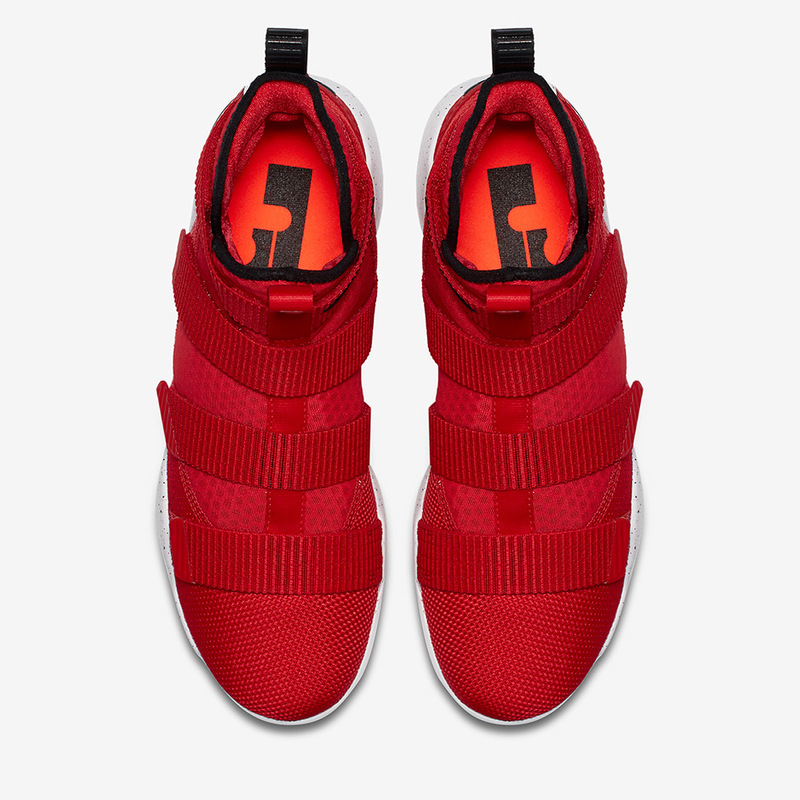 Update: The Nike LeBron Soldier 11 “University Red” is available now at Nike. 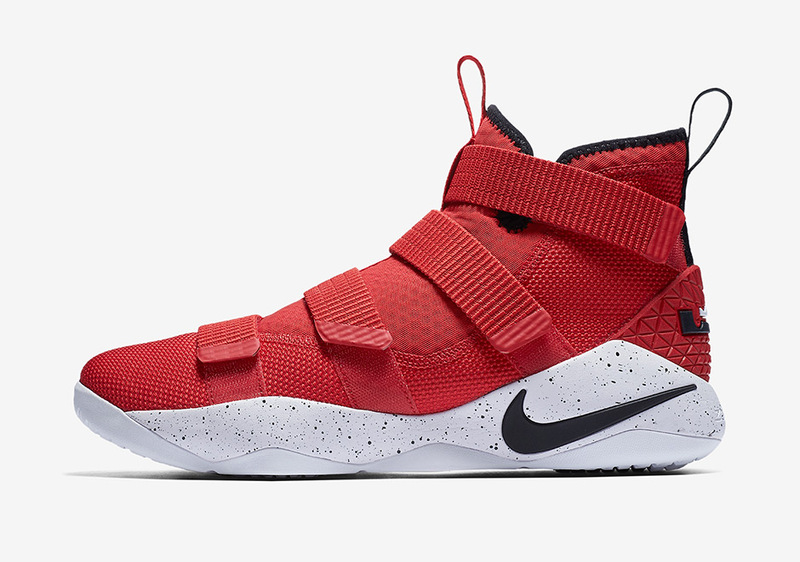 LeBron’s stint with the Miami Heat is now long over, but this upcoming colorway of the Nike LeBron Soldier 11 should definitely have you thinking back to his time in South Beach with its very Heat-esque color scheme. 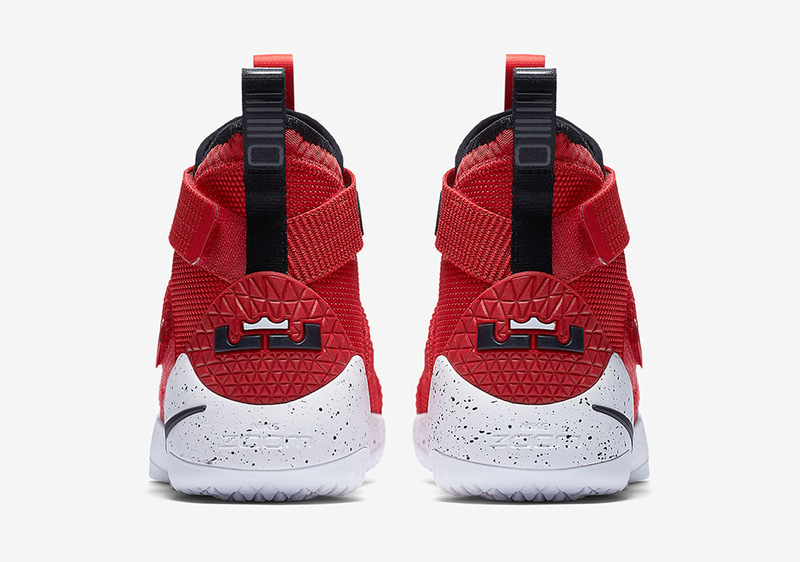 Also doubling as a Chicago Bulls-friendly look, the latest version of LeBron’s Soldier line features a University Red upper with a white sole and black accents throughout, including for the speckling on the midsole. Each pair is finished with a fiery touch of Total Crimson for the sockliner inside. 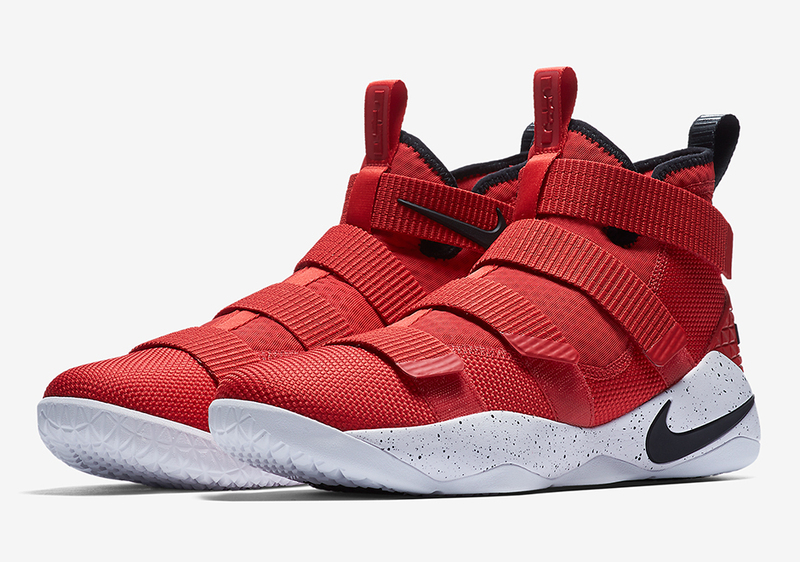 You can expect to find the University Red Soldier 11 at Nike Basketball retailers and Nike.com later this summer. 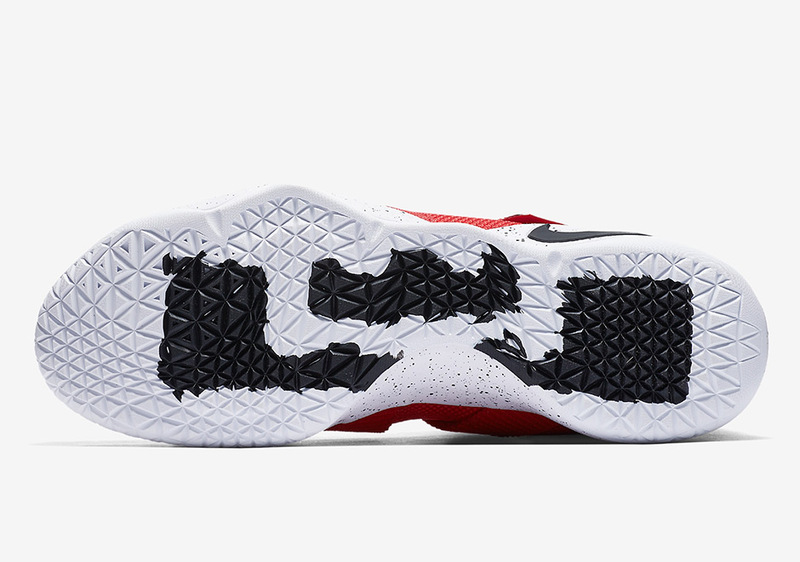 In other LeBron sneaker news, the “USA” colorway of the LeBron 14 Low is also coming soon.